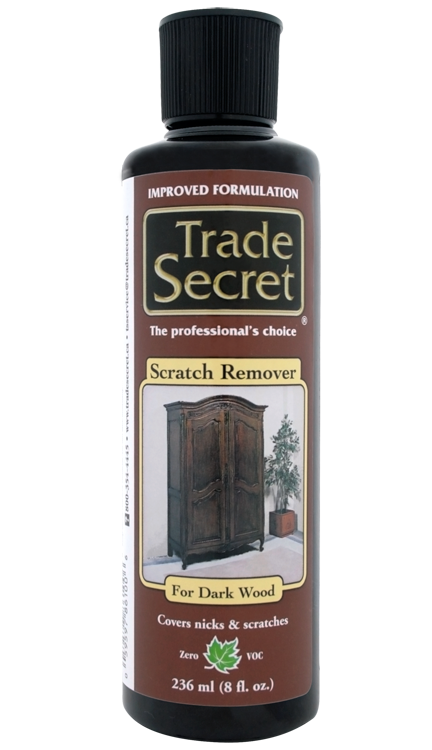 You don’t need to be a furniture care expert or a magician to restore nicked, scratched and worn furniture. 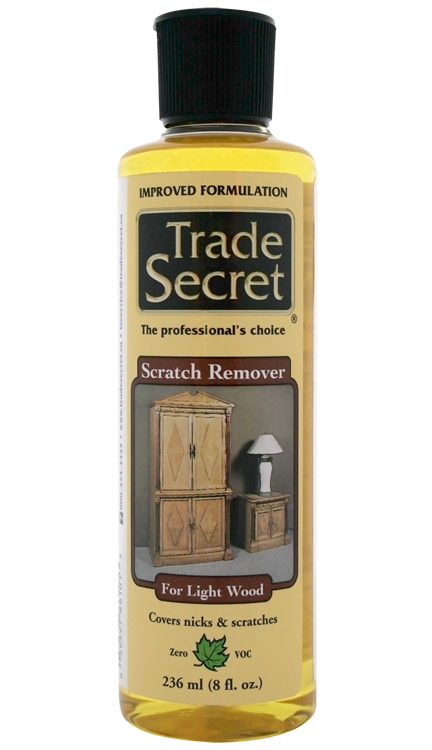 Using Trade SecretTM Scratch Removers, it’s as simple as wipe on and wipe off. This is a great way to spruce up all of the finished surfaces around the house before the holidays or visits by family and friends. Camouflage scratches in finished furniture, veneers and even flooring in a matter of moments. No stripping or preparation and no toxic fumes. Simply choose the Dark or Light formulation depending on the colour of your surface and wipe on then wipe off. 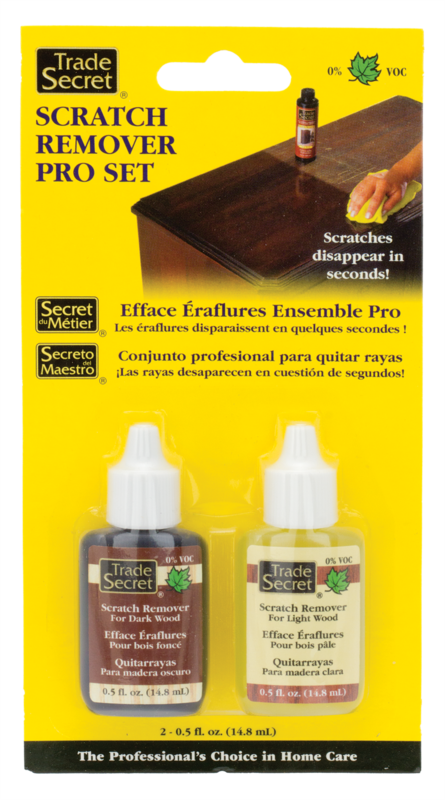 Treat the complete surface and bring the whole piece back to life.